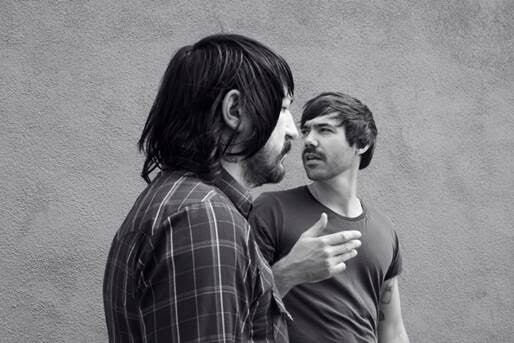 Death From Above 1979 have released a new video for fan favourite ‘White Is Red’, taken from their critically acclaimed 2014 album ‘The Physical World’. The new video is comprised of clips from the notorious duo’s feature documentary Life After Death From Above 1979, capturing their rise, fall out and epic reunion. The documentary was released late last year and is currently available at http://www.dfa1979-movie.com. DFA 1979 broke up in 2006, while their debut album You’re A Woman, I’m A Machine and subsequent remix album continued to sell, making Jesse F. Keeler (bass, synths, backing vocals) and Sebastien Grainger (vocals and drums) an underground/overground sensation. After a 10 year hiatus, they decided to reunite and began performing live shows, picking up right where they left off, never missing a beat. Their rabid cult has only continued to amass even while the band remained inactive.